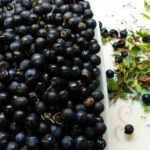 Home Advent Botany Advent Botany 2017 – Day 11: Let it Sloe, let it Sloe, let it Sloe! 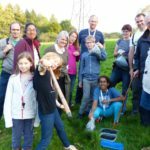 Advent Botany 2017 – Day 11: Let it Sloe, let it Sloe, let it Sloe! This is Dr M’s contribution to #AdventBotany for 2017 the fourth fantastic year of this true botanical original from Alastair Culham and Dr M at the School of Biological Sciences, University of Reading! The 2017 edition is curated by Alastair Culham and you can it all here. For day 11, ironically as I wrote this post it is snowing here in deepest darkest urban Berkshire, and was the timely inspiration for my title! Sloe gin is an increasingly popular festive drink its astringent, alcoholic, delicate yet complex sweetness and rosy red colouration, make it a winning combination as a festive beverage finding a worthy place amongst the tinsel garlands and mince pies, guaranteed to warm the cockles of the heart on the frostiest of Christmas days! In the family Rosaceae, Blackthorn and Sloe are two vernacular names for Prunus spinosa as it is scientifically known. In common with plants everywhere, the Sloe has many stories to tell us. The Blackthorn ‘tree’ is actually more like a large shrub, with dark twisted branches, growing to three metres in height, is common throughout its range in Europe. It grows in various habitats and soil types, occurring in open woodland, scrub, hedgerows, scree and cliff-slopes. In the UK the British National Vegetation Classification includes a sub-community of maritime cliff-top scrub in which wind-pruned shrubs of Prunus spinosa is the most frequent larger woody plant with an herbaceous understorey including species with a more maritime distribution such as Armeria maritima (Thrift) and Silene uniflora (Sea Campion) (W22 Prunus spinosa–Rubus fruticosus scrub). 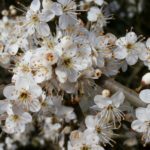 Blackthorn is currently common enough throughout most of its range to be considered least concern in the IUCN Red List of plants, but you can find more information on its taxonomic and conservation status here. 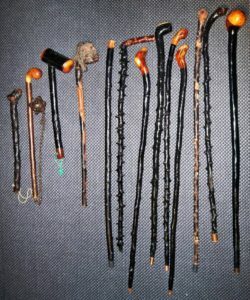 The Blackthorn plant has multiple uses. One of these stems from the long and sharp thorns which make it a very effective stock-proof boundary hedgerow shrub. 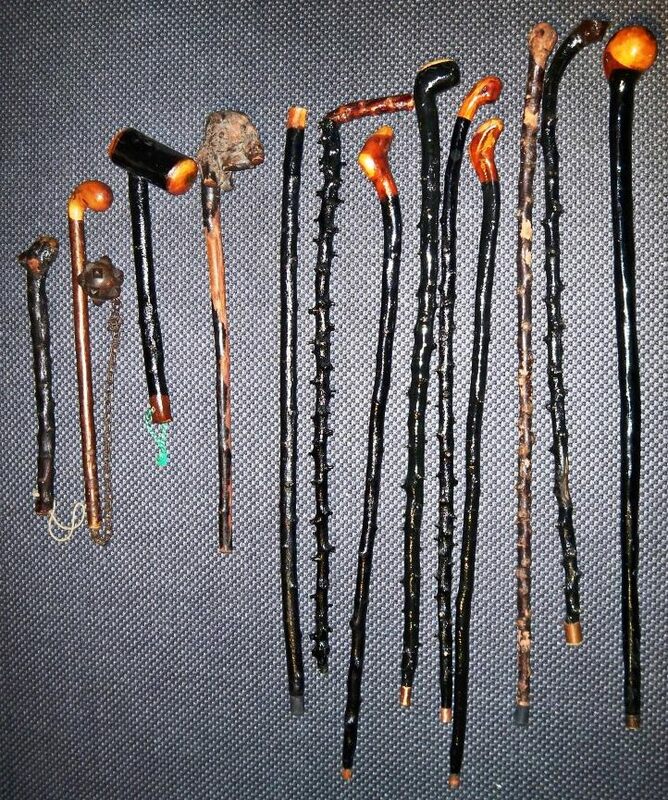 The wood of the Blackthorn itself has long been prized for its enduring, hard and knobbly character, and is the wood of choice for crafting the Irish Shillelagh which often has a convenient knob formed from the root guaranteed to see off any mischievous opponent! 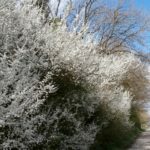 Blackthorn blossom is the first of the common white flowering hedgerow shrubs to come into flower in spring-time in Britain (check my post here). The starry, pure white flowers contrast with the dark twigs, leafless when flowering is at its peak, makes for one of the true botanical glories of the early spring landscape. Later in the season Blackthorn fruits adorn our hedgerows, small blue-black, sometimes deep purplish, round globular fruits ripening after the first frost. These are often referred to as sloe berries, but technically these are drupes not berries. Botanically there are two main classes of fleshy fruits: drupes and berries. Drupes have a fleshy outer layer but a tough-leathery or bony inner layer and usually have a single “stone” or “pit” rather than seeds, the sloe fits this definition perfectly. Berries, on the other hand are all fleshy, and may have more than one seed. Examples of true berries include blueberries, gooseberries, cranberries, grapes, tomatoes but also peppers, avocados and bananas! In some years sloes are prolific in hedgerows from later summer, at first this is a bitter, astringent fruit, but after the first frosts this ripens and softens into a sweeter fruit. 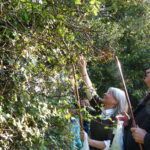 Sloes may be gathered to make sloe gin, sloe cordial, fruit jam and other concoctions. The juice of sloes can be used for ink or a strong red dye. Blackthorn fruits have been found in archaeological sites from the Mesolithic and Iron Age periods (8000-2700 BC), implying that they were a part of early man’s diet. The sloe is not listed in my, admittedly abridged, edition of Gerard’s herbal, but other sources suggest the following medicinal uses. Sloes are astringent and stimulate the metabolism, clean the blood, and may be used as a laxative and diuretic. They may help with indigestion, eczema, herpes, allergies, colds, catarrh, neurosis, weak heart, kidney stones, skin, bladder, and prostate problems. There is much more on the folklore of this plant here. But for Dr M, the true Advent Botany connection with Blackthorn has to be the Rosaceous, rosy nectar which is sloe gin. Recipes for sloe gin abound, but all are simplicity itself, just like the pure white Blackthorn blossoms themselves. 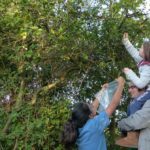 Sloe gin making is best done as a communal activity, from collecting the sloes, through processing to enjoying the end product! Collect your sloes after the first frosts to ensure their sweetness, otherwise freeze them for a while to mimic the frosting process. Clean off surplus stalks and leaves and pierce the sloes with a needle to ensure the magic juices later escape into the alcoholic liquor. 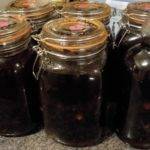 Combine 1l gin with 500 g sloes and 250 g sugar and store in sealed jars or bottles. Agitate initially to dissolve the sugar and then store in a cool place and turn daily for 3 months or so, filter through fine muslin into bottles and enjoy! 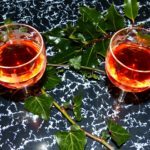 As sloes are only really ready for picking in early November, to enjoy sloe gin at Christmas in the year of making, necessarily gives only a couple of months maturing. This is OK and needs must! But best is to make a new batch annually and you can ultimately enjoy the vintage matured product! 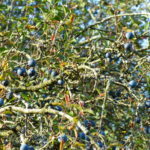 Dr M says: One big question remains: what make the best sloe gin: cheap or expensive gin? Some commentators say cheap gin makes cheap sloe gin, others are not so sure! However Dr M is currently working hard with his colleagues producing a range of sloe gins from cheap and cheerful to more expensive export-strength varieties. Later on in February there will be a blind tasting, so watch this space for the results of this important scientific investigation! Are you encouraging your web followers to get drunk? Absolutely appalling to endorse such perversions. There are enough people having immoral encounters at Christmas without you and your alcohol fuelled posts leading to more. Disgusting. I think you should seriously reconsider your February follow up. What about a more informative post on how to crochet woollen leaves?